Fernandez Honda invites you to our Certified Honda service center in San Antonio, TX. No matter what make or model, your vehicle deserves expert care from ASE certified auto mechanics and technicians. Find out why our Honda service and repair center is one of the best places to bring your car, truck or SUV for maintenance, repair, or a routine oil change in the San Antonio area. Fernandez Honda’s automotive technicians are factory-trained Honda mechanics who use state-of-the-art technology and equipment to help you keep your vehicle running like new. You can trust your vehicle’s scheduled service or unexpected repair to our highly skilled team. When it comes to service, Fernandez Honda of San Antonio, TX is top of its class. Because we are car buyers ourselves, we know the feeling of dread when a light comes on the dashboard of your vehicle, and you know it’s time to take your vehicle into the shop. We want you to know that we have your back and will take care of you. We stock our facility full of professionally trained mechanics that have access to genuine factory-made parts made specifically for your vehicle. Because of this, you can be rest assured our parts are right for your vehicle. While you wait, you will be treated with the upmost respect. We provide courtesy services to keep you comfortable in our waiting room or keep you going with your busy day. Why Should You Come to Us For Your Next Service? 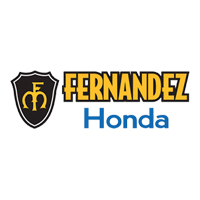 At Fernandez Honda, we know you think a lot about where to take your car when it needs a checkup, service, or repair. Bring it by our Service Department to be sure you are giving your car the best care possible. We know you care about what goes into your Honda. This is why we employ only expertly trained service staff who are experienced and knowledgeable about how to properly service any vehicle. The Fernandez Honda service department will always take the necessary measures to make sure your car makes it back on the road safely. Be sure to check out our service specials to save some money on your next service or repair on any of your vehicles. Our deals change often so make sure to check back to see what offers we have available. Fernandez Honda lo invita a nuestro Centro de Servicio Certificado de Honda cerca de San Antonio, TX. No importa qué marca o modelo, su vehículo merece el cuidado experto de los mecánicos y técnicos certificados por ASE. Descubra por qué nuestro centro de servicio y reparación Honda es uno de los mejores lugares para llevar su automóvil, camioneta o SUV para servicio, reparación o un cambio de aceite de rutina. Llámenos hoy al (210) 988-6685 para programar una cita.